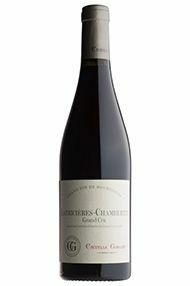 As usual, from a combination of contract grapes and purchased wine (with the same sources here since 2003), the Camille Giroud 2008 Latricieres-Chambertin presents peat and black pepper, crushed stone, and ripe, lightly-cooked cherry in a lovely nose, rich yet tart palate impression, with a pungently smoky, peppery, and stony finish. It lacks the sweetness and charm of the Charmes but its formidable density and grip backed by abundant fine-grained tannin suggests a wine worth forgetting in the cellar for a few years and that should hold up well for 12-15. 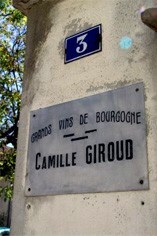 The Wine Advocate - As usual, from a combination of contract grapes and purchased wine (with the same sources here since 2003), the Camille Giroud 2008 Latricieres-Chambertin presents peat and black pepper, crushed stone, and ripe, lightly-cooked cherry in a lovely nose, rich yet tart palate impression, with a pungently smoky, peppery, and stony finish. It lacks the sweetness and charm of the Charmes but its formidable density and grip backed by abundant fine-grained tannin suggests a wine worth forgetting in the cellar for a few years and that should hold up well for 12-15.